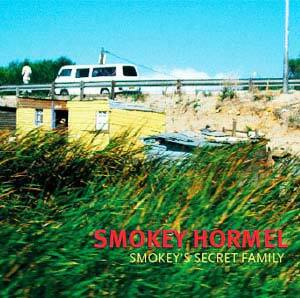 Smokey's Secret Family is guitarist Smokey Hormel's exploration of African dance music from the 1950s, featuring brilliantly fluid guitar, joyful horns, and percussion. Smokey Hormel has assembled a stellar lineup of New York musicians (David Hofstra on bass (and tuba), Davi Viera, Tony Mola and Meia Noite on percussion, Doug Weiselman on clarinet (and baritone-sax), and Clark Gayton on trombone) for dynamic live shows as well as the studio recording of Smokey's Secret Family's self-titled record. Smokey produced and played multiple instruments on the nine song 2009 release Smokey's Secret Family. A collection of songs by African groups from the 1950s, "it's not the Highlife or Soukous sounds that became popular in the 70s," says Smokey. "It's that magical moment just before the heavy influence of American Soul, Funk and Rock and Roll, the pre-James Brown era of urban African dance music. There are no big drum kits, no loud amplifiers, just wild guitars bursting through small amps afloat on a sea of hand drums and shakers, often with a very distorted bass or maybe even a tuba pulsating underneath it all. It's more Latin than western. It's not Funk. 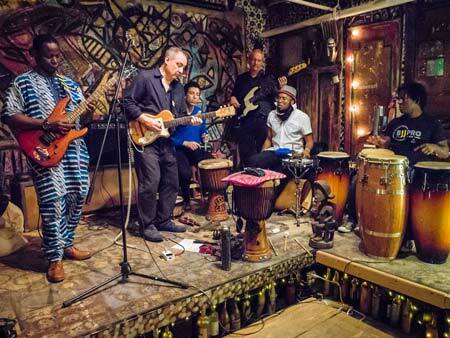 It's Cha Cha, Mambo and Rhumbas, and it all has that very contagious and danceable groove." 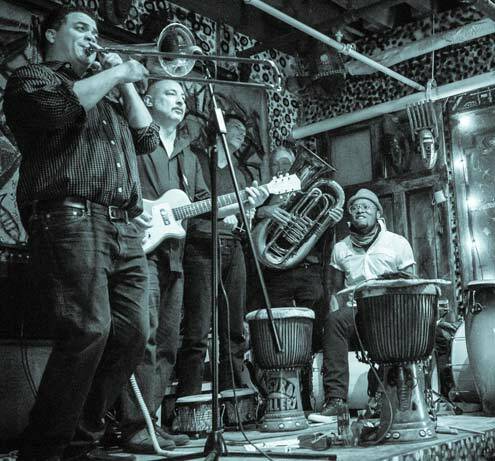 Guitarist Smokey Hormel and his stellar New York band resurect classic '50s African dance music with electric guitar, tuba, trombone, clarinet, percussion and more. Nine songs released in 2009.